This exceptional laboratory manual describes thirty-seven procedures most likely to be used in the next decade for molecular, biochemical, and cellular studies on Drosophila. They were selected after extensive consultation with the research community and rigorously edited for clarity, uniformity, and conciseness. Scope: The methods included permit investigation of chromosomes, cell biology, molecular biology, genomes, biochemistry, and development. Depth: Each protocol includes the basic information needed by novices, with sufficient detail to be valuable to experienced investigators. Format: Each method is carefully introduced and illustrated with figures, tables, illustrations, and examples of the data obtainable. 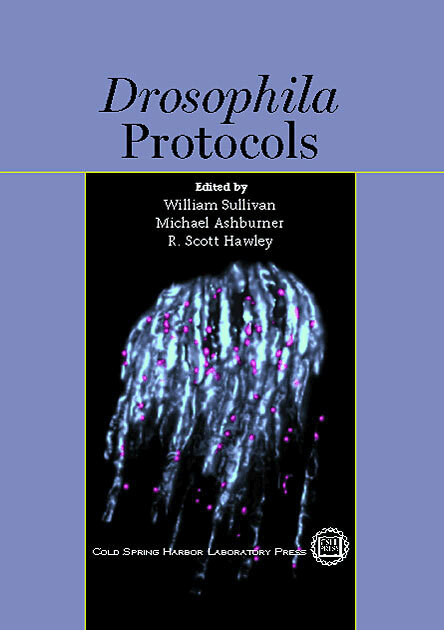 Added value: The book's appendices include key aspects of Drosophila biology, essential solutions, buffers, and recipes. An evolution of Michael Ashburner's 1989 classic Drosophila: A Laboratory Manual, this book is an essential addition to the personal library of Drosophila investigators and an incomparable resource for other research groups with goals likely to require fly-based technical approaches.